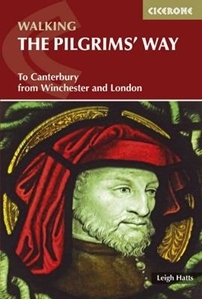 This guidebook details the Pilgrims' Way, an historic pilgrimage route to Canterbury Cathedral in Kent, home of the shrine of the martyred archbishop, St Thomas Becket. The route is described both from Winchester in Hampshire (1361/2 miles) and London's Southwark Cathedral (90 miles), with an optional spur to Rochester Cathedral. With relatively easy walking on ancient byways, the route from Winchester is presented in 15 stages of 43/4-131/2 miles: it can be comfortably completed in under a fortnight. It follows a major chalk ridge through scenic countryside, taking in characterful towns and villages and historic churches. The route from Southwark is described in 10 stages and includes a visit to the ruined Lesnes Abbey. Detailed route description is accompanied by 1:50,000 OS mapping, advice on making the most of a trip and information on the historical background to the pilgrimage, key historical figures and local points of interest. Accommodation listings and details of facilities and transport links can be found in the appendices. Pilgrimages to Becket's shrine began within a few years of the his death in 1170, although Canterbury was a popular destination even before this time due to the nearby shrine of St Augustine. The route has featured in literature, drama and film, and forms the setting for Geoffrey Chaucer's famous Middle English work, The Canterbury Tales.